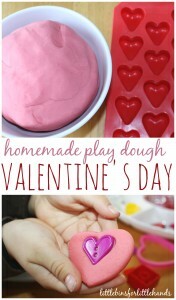 These are our favorite Valentine play dough recipes! Perfect for playdates, gifts, classrooms or homes! 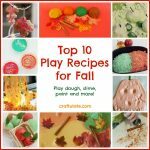 These play dough recipes have a common theme but are all different! Which is your favourite? 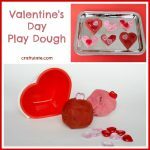 Two-tone play dough with a find-the-heart bonus activity! Chocolate and Valentine’s Day are a perfect pairing! 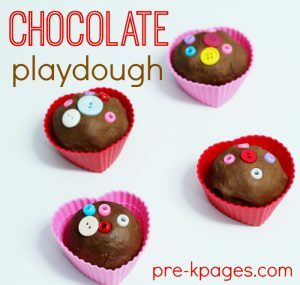 Wonderful ideas for ways to play with your homemade play dough! No-cook recipe – and with a maths twist! 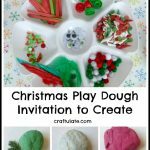 This floral-scented play dough recipe is so beautiful! Make a love bug! So cute! 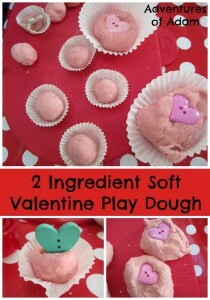 Valentine’s Day Play Dough Favors from Mama. Papa. Bubba. 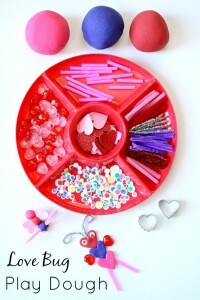 Kids will love to make AND receive these cute favors! 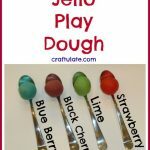 This sensory dough recipe is wonderfully soft and tactile! 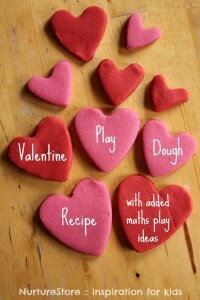 Play dough makes a great Valentine – especially since our schools don’t allow candy!